Always read the label. Follow the directions for use. If symptoms persist, talk to your health professional. Vitamin supplements should not replace a balanced diet. Contains sulfites and soya. When taken in excess of 3000 micrograms retinol equivalents (R.E.) (10,000IU), Vitamin A can cause birth defects. 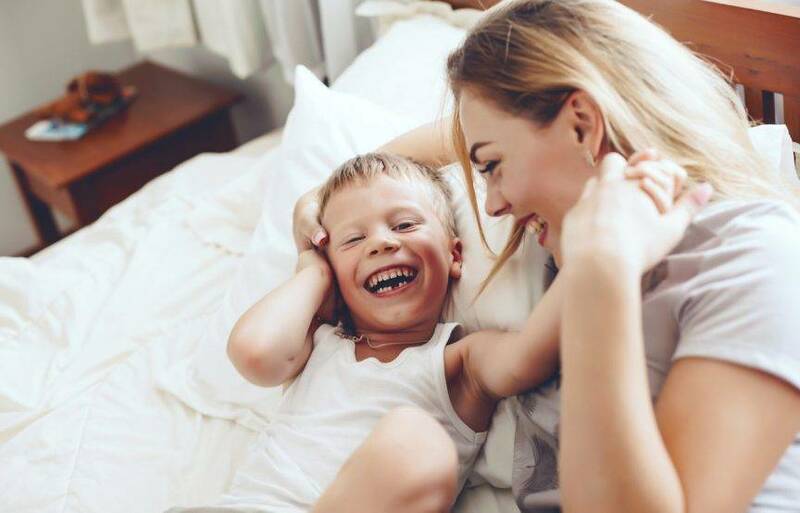 If you are pregnant or considering becoming pregnant, do not take Vitamin A supplements without consulting your doctor or pharmacist. The recommended daily amount of Vitamin A from all sources is 700R.E. (2330IU) for women and 900R.E. (3000IU) for men. This product contains selenium which is toxic in high doses. 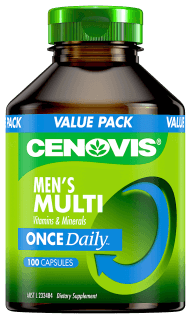 A daily dose of 150 micrograms for adults of selenium from dietary supplements should not be exceeded. Contains beeswax. If symptoms persist see your healthcare professional. 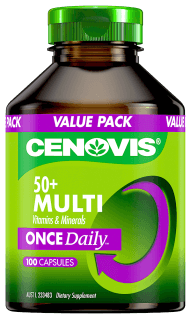 Why Cenovis Women’s Multi Vitamins & Minerals Once Daily Capsules? 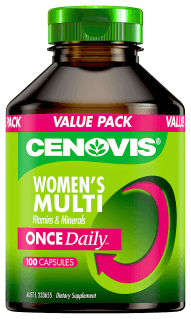 Cenovis Once Daily Women’s Multi is a comprehensive formula containing 27 specially selected ingredients to provide daily nutritional support for women in one, no fuss, easy to swallow capsule per day. 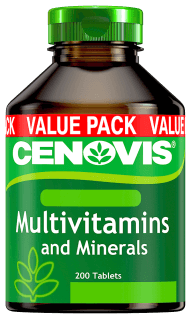 Each capsule contains essential vitamins and minerals. This formula includes Calcium as well as Vitamin D3 to help calcium absorption. Evening Primrose Oil helps maintain healthy skin, while Vitamin A is beneficial for the maintenance of healthy eyes and general well-being. Iron, Vitamin B5 and B3 help the body produce energy, while Chromium Picolinate assists glucose metabolism. Biotin assists the maintenance of healthy hair and skin, while Vitamin B3 is involved in the body’s detoxification reactions. Vitamin C helps maintain healthy immune function. Vitamin B6 may provide relief of PMS symptoms including mood swings and fatigue, while Folic Acid and Vitamin B12 support hearth health.